BRITISH FOLK CUSTOMS FOLKLORE Grovely Forest Rights, Great Wishford, Wiltshire. 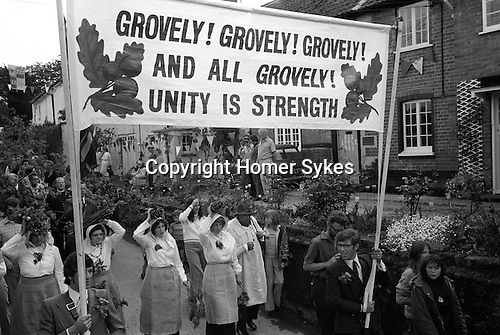 Wishford Magna Oak Apple Club motto:'Grovely! Grovely! Grovely! and all Grovely! Unity is strength', banner carried is carried in procession through the village.